Lee Murdock has uncovered a boundless body of music and stories in the Great Lakes. There is an amazing timelessness in this music. Great Lakes songs are made of hard work, hard living, ships that go down and ships that come in. The music is grounded in the work song tradition from the rugged days of lumberjacks and wooden sailing schooners. Murdock comes alongside with ballads of contemporary commerce and revelry in the grand folk style. Lee's fans have discovered a sweetwater treasure in his songs about the Great Lakes, finding drama and inspiration in the lives of sailors and fishermen, lighthouse keepers, ghosts, shipwrecks, outlaws and everyday heroes. With a deeper understanding of the folk process, Lee combines historical research and contemporary insights to make folk music for the modern era. His work is a documentary and also an anthem to the people who live, work, learn and play along the shores of the Great Lakes today. Since 1980, Lee has released eighteen albums and three books with accompanying CDs. His latest CD release is Here We'll Stand. 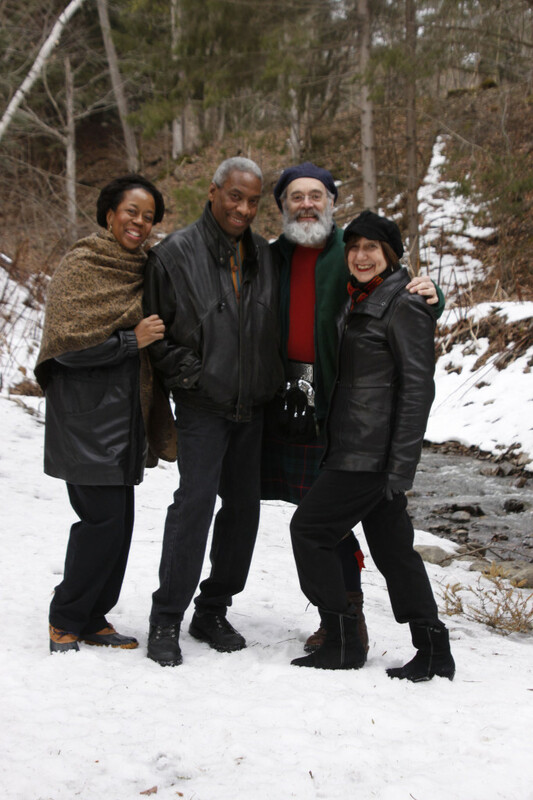 Harmony Bones is a quartet of long-time veterans of the Ann Arbor folk music scene. 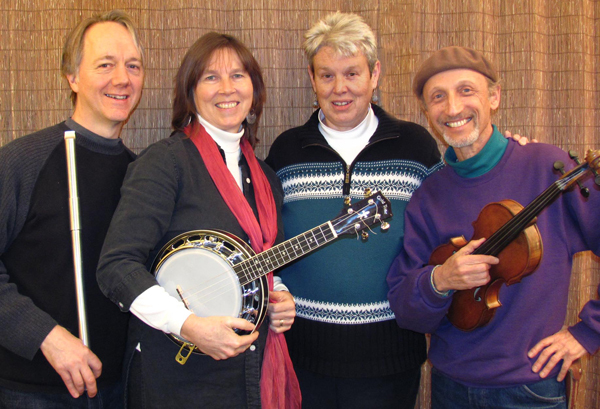 The band consists of Jeanne Mackey, Tom Voiles, Linda Teaman, and Laz Slomovits. The name Harmony Bones comes from an acupuncture point that harmonizes imbalances and promotes clear thinking, seeing, and hearing. 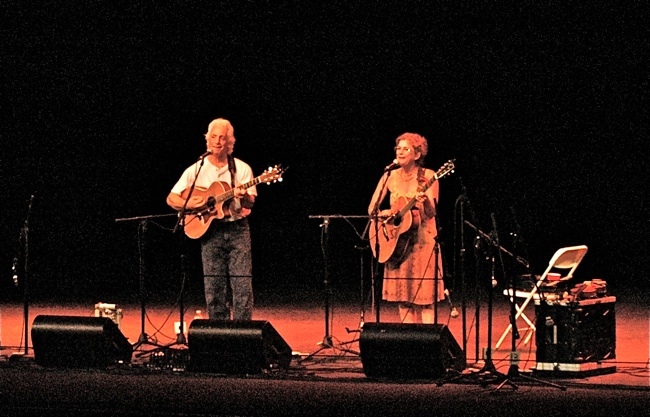 Jeanne, Tom, Linda and Laz have joined forces to explore a wide range of traditional, contemporary and original folk songs. Rich vocal harmonies and an array of instruments -- guitar, mandolin, flute, pennywhistle, fiddle, banjo, percussion, sitar -- combine to make Harmony Bones. 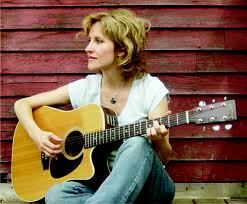 Singer/songwriter Jeanne Mackey offers a blend of emotional intensity, wry humor, and global consciousness. In addition to original tunes, her repertoire ranges from Dar Williams to Patsy Cline, from Pete Seeger to Irving Berlin. A seasoned guitarist, she draws on a variety of styles -- folk, classic swing, funky blues, and more -- with the occasional sprinkle of mandolin, accordion, or banjo. 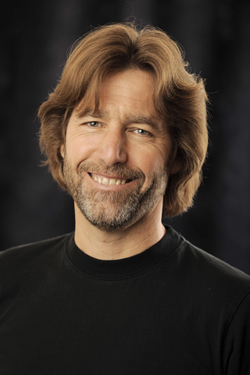 Mackey rocked the 1970s East Coast topical music circuit as a young musician advocating feminist values and social justice. 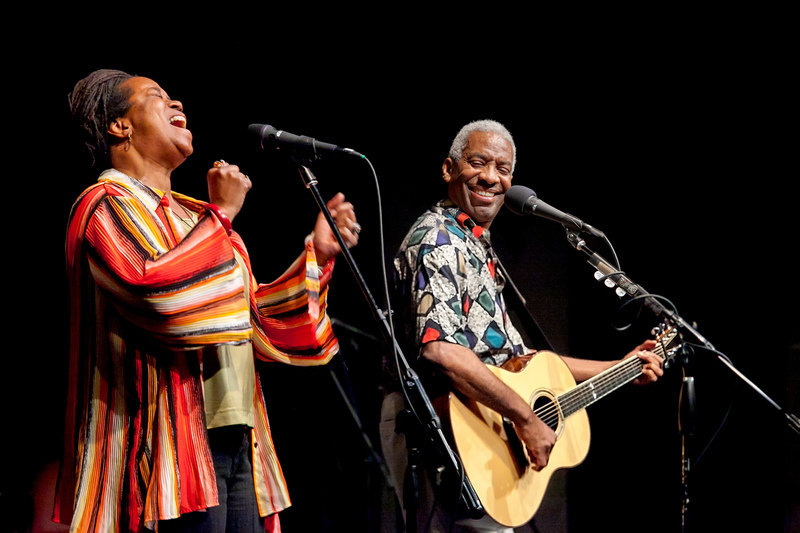 In 2010, Mackey created "Drop The Knife: A Memoir-in-Song," an evening of original songs and stories exploring the meaning of homeland, curses, death, and magic. 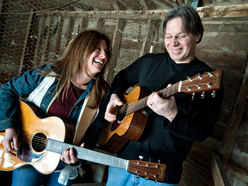 Linda Teaman and Tom Voiles do much of their singing and playing with Nutshell, an Ann Arbor-based Celtic roots band. Nutshell plays for contra-dances and performs at festivals across North America. Linda is a singer who brings depth of understanding, warmth and sensitivity to the music. In 2005, her graduation recital for a degree in k-12 choral music had her singing in five languages, encompassing musical forms such as Irish sean nos singing and Italian and German arias by composers Purcell, Mozart and Brahms. She leads the Rudolf Steiner Community Singers, a small choir that sings uncommon Christmas and seasonal songs of celebration. She hopes you'll forgive her classical background and that she is redeemed by her love of folk music. In addition to vocals, she adds light percussion to the mix. Tom consumes a well-rounded musical diet that ranges from Celtic to Indian to rock and roll. He enjoys mixing different styles while maintaining a respect for the traditions from which they spring. Tom has studied North Indian Classical music, Moroccan folk drumming and western classical flute. He has worked with performance artists, dancers, mimes and poets, including Hosain Mosavat, Gerry the Fool, Matthew Smith, ML Liebler and the Magic Poetry Band. Laz Slomovits is one of the twin brothers in Ann Arbor’s nationally-known children’s music duo, Gemini. A fine singer and multi-instrumentalist, Laz is starting his 41st year playing music. His songs are featured in songbooks used by music teachers throughout the country, and Gemini's recordings have won numerous awards. In addition, Laz has had a notable solo career. In his solo work, Laz is best known for his powerful musical settings of the poetry of ancient Sufi mystics Rumi and Hafiz, as well as that of contemporary American poets. 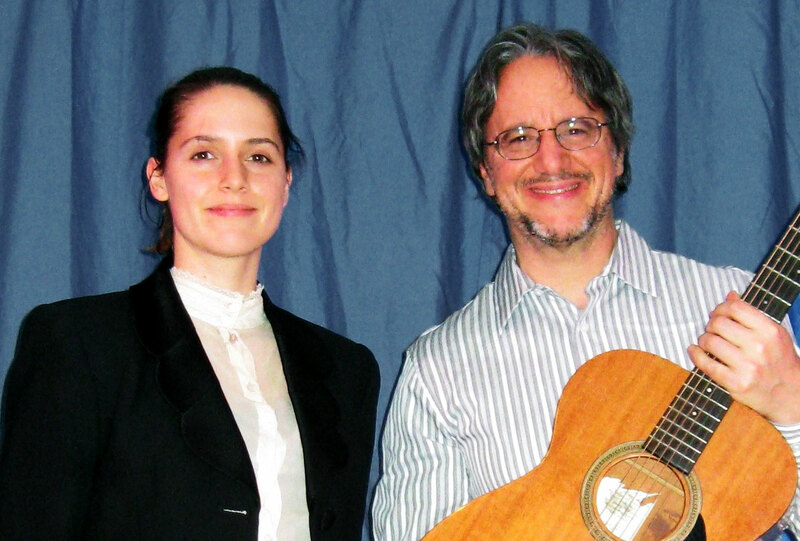 He is currently at work on new recordings for both children and adults, as well as a musical play that will be produced by Wild Swan Theater in its upcoming season. All About Eve (Katie Geddes, Deb Wood and David Vaughn, with Dan Reynolds on guitar) and Michael Krieger present the story of Good Friday, told through the music of Indigo Girls, Natalie Merchant and Andrew Lloyd Webber, along with scripture and prayer. 30 min service; repeats at 7:30pm and 8pm. Enter at any time. Nashville-based artist and Wrensong Publishing writer Sally Barris has managed to be successful in the mainstream world of country music without giving up her folk and Celtic roots. Her unique style, influenced by artists such as Tony Rice, Dougie Maclean and Richard Thompson, is what makes her stand out in a city known for “cookie cutter” talent. Her songwriting highlights include, “Let The Wind Chase You” (Trisha Yearwood), “Reluctant Daughter” (Martina McBride), “Some Things I Know” (Lee Ann Womack), “I’m On My Way” (Kellie Pickler), “The Innocent Years” (Kathy Mattea) and “Honeysuckle Sweet” (Jessi Alexander), which was featured in the Miramax film, “An Unfinished Life.” The Minnesota native is currently on tour with her fourth CD, Wilder Girl. 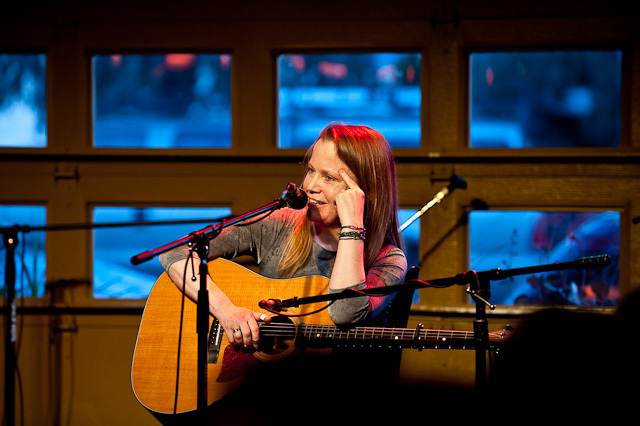 Kat is one of the most accomplished guitarists and singer/songwriters in the folk, Celtic and traditional music genres. Elating, moving, and amusing audiences with her beautiful blend of sweet melodies, gentle honesty and searing humor, Kat's music reflects a wide range of life's experiences with unusual clarity and authority. In a clear alto with flawless intonation, Kat Eggleston goes straight to the lyrical and emotional truth of every word and every note. Her musings on home, childhood, and her father's garden are gems of direct, unassuming plain spokenness. Her narratives push hard at our senses and demand we return again and again to pick up the pieces we dropped on first hearing, expanding our comprehension of difficult, personal and universal experience. Kat has released five CDs to date, three of which are available from Waterbug Music, one from Redwing Music, and the most recent,Speak, as an independent release. Kat has also just released a duet CD, Lost and Found, with Kate MacLeod. A David Barrett concert rocks you with gentle humor, then rolls you with the rhythm of the sea. A consummate performer, Barrett weaves the music together with stories of life on the road, of children and criminals, golf and baseball, and the things hound dogs would say if they could talk. David's latest album, It’s a Long, Long Story, is a lot more than a compendium of ten new David Barrett songs. It's a crash course in sunsets, innocence, lost love, high comedy and the physics of life. It'll take you there and back, cradled safely in melody. The album is beautiful, understated and true. As the youngest of thirteen children born to Mexican immigrant parents, Hinojosa grew up listening to traditional Mexican songs as well as the pop and folk stations of the 60s on her parents’ radio. Inspired by these diverse influences, her career took her to New Mexico and then to Nashville. Performing with legendary country musician Michael Martin Murphy inspired her to begin writing her own songs in English and Spanish. 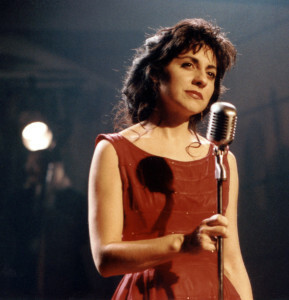 After her first independent release, 1987's Taos to Tennessee, she was signed by A&M Records. Since then, a continuous stream of recordings and numerous American and European tours have brought Hinojosa’s music to an ever-expanding audience. To date, she has released 16 albums. Her releases explore a wide variety of styles, ranging from the perfect balance of country, folk, and Latino elements on Culture Swing and the collection of Mexican love ballads and border songs on the all-Spanish Frontejas, to the delicate mysticism of Dreaming From the Labyrinth and the joyful optimism on her bilingual children’s record, Cada Niño/Every Child. Sign of Truth added yet another facet to Hinojosa’s sound, revealing a more personal, intimate, and independent side. Teaming up with artists like Joan Baez, Kris Kristofferson, Dwight Yoakam, Nanci Griffith, Pete Seeger, Flaco Jimenez, and Los Lobos, Hinojosa’s sound has an undeniable and far-reaching appeal. Her latest album is After the Fair. "the unconscious rightness of intuitive connection" and a perpetual student of songcraft with a deep respect for both tradition and innovation. In the thirty-odd years that he has been writing and performing he has created an impressive body of work. 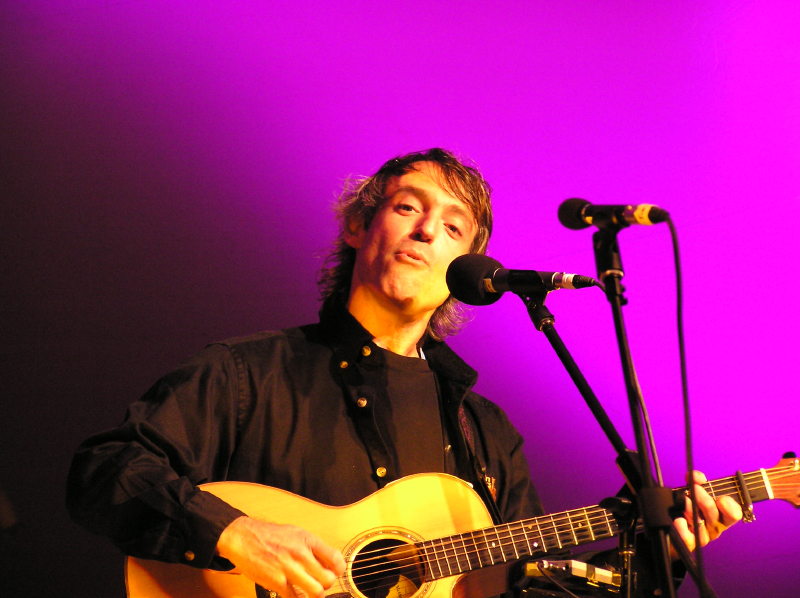 Onstage he is disarmingly unpretentious, spontaneous and darkly witty, weaving a tapestry that includes not only his own songs but Scottish ballads that he's translated from dialect and poems and songs by exceptional writers such as Dave Carter, Mary Oliver and Robert Frost. At age seven Andrew memorized W. B. Yeats' "Song of Wandering Aengus," thus earning a nickel from his mother. He got his first guitar at age ten and began writing songs at twelve. By the late seventies he was a fixture in the Chicago folk scene. He presents workshops on many topics: Creative Songwriting, Song Appreciation, Scottish Folk Ballads, and Music Theory for Guitarists. In 1992 Calhoun founded Waterbug Records, an artists' cooperative folk label which has grown to 70 titles, bringing some of the brightest singer-songwriters and folk musicians to an international audience. Waterbug was the first to distribute music by Chuck Brodsky, Cosy Sheridan, Dar Williams, Lui Collins, Sons of the Never Wrong, Erin McKeown and many others. His own recordings have been released on Hogeye, Flying Fish and Waterbug Records. Matt Watroba brings a very special set of talents to the stage whenever he appears as a folk musician. His excellent guitar playing, mellow voice, friendship with his audience, and knowledge of his presentations is impressive. Add to that Matt’s own special brand of humor and you are in for a most entertaining and enlightening set.You will feel his obvious love of folk music, both traditional and contemporary; its writers and performers; its heroes and villains. Matt sings songs of compassion, inner strength, humor, and everyday living. 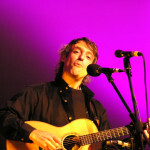 Matt’s latest CD, Shine Right Through The Dark, appeared on several folk DJs’“Best Of”lists for 2010. There is no better storyteller than Chuck Brodsky. Ranging from poignant to hilarious, his songs are about the little things in the lives of everyday people. 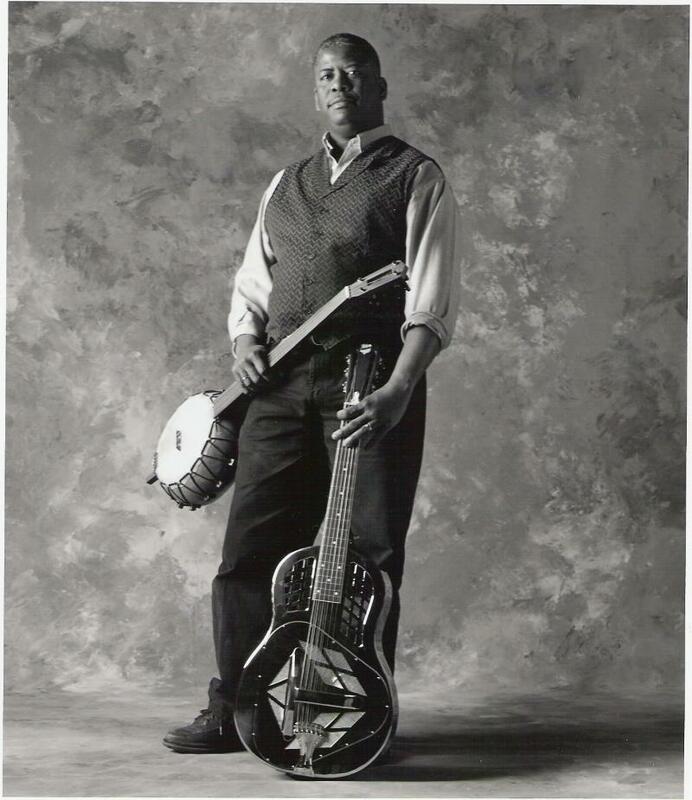 Chuck’s soulful and compassionate voice brings his characters to life, and is the perfect instrument for infusing his lyrics with heartfelt humanity or biting wit. His spoken introductions to his songs can be as spellbinding as his colorful lyrics, which he brings to life with a well-traveled voice and a delivery that’s natural and conversational. 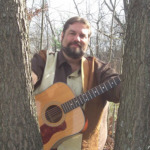 His groove- oriented strumming and fingerpicking draw on influences from the mountains of western North Carolina where he now lives, and from lots of different good old traditional folk stuff of all kinds. Chuck is widely known for his many wonderful songs about the heroes -- and zeroes -- of baseball. His latest CD is The Baseball Ballads 2. 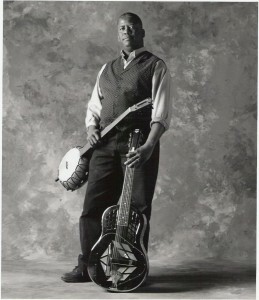 Chuck Mitchell started singing in Detroit folk clubs in the 1960s. In Toronto, on his first out of town gig, he met Canadian songwriter Joni Anderson. They married, and as a duo Chuck and Joni Mitchell played the coffeehouse circuit, and gin rummy, until they divorced in 1968. 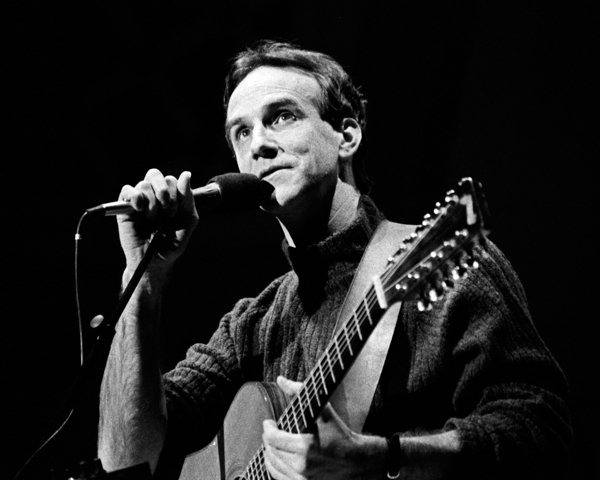 Mitchell's credits include A Prairie Home Companion and repertory theatre in Texas and in England. He has played Harold Hill inThe Music Man and Woody Guthrie in Woody Guthrie's American Song. Most recently, he wrote and produced Mr. Foster & Mr. Twain, in which Stephen Foster joins Mark Twain for an evening of story and song. A Chuck Mitchell's show combines his seasoned skills as an actor, singer and guitarist with a selection of delightful material. He sings cabaret songs by Brecht and Weil -- "Mack the Knife" and "The Bilbao Song" -- and whimsical songs by Flanders & Swann -- "The Gnu" and "Have Some Madeira, M'dear". He roves the room singing "Freeborn Man" by Ewan McColl, or "Necessity" from Finian's Rainbow. He weaves poetry by Robert Frost and T.S. Eliot into his shows. He has been called a renaissance man, and thinks he is old enough to be one. Vocal trio All About Eve (Katie Geddes, Deb Wood, David Vaughn) offers up a variety of close-harmony pop covers and traditional and contemporary folk and gospel songs, accompanied by Dan Reynolds on guitar.